In my novella The Cloud I have given one of the characters an opinion about 'goodness' in which he dismisses 'original sin' as a cause of evil and suffering and proposes instead 'original goodness'. Most sane people want to 'do good', in other words to follow that ethical system they were taught at their proverbial 'mother's knee' (all those family and extended influences that form our childhood world view). That's the reason we now have jihadists raging, seemingly out of control, across areas of Syria and Iraq and threatening the entire Middle East with their version of 'goodness'. A fortnight ago I was moved to suggest that it was possible that the alleged gas attack in Syria might not be the work of the Syrian Army. I withdrew the posting when more convincing evidence of Army involvement became available. Because of our visit to Syria took place just before the most recent troubles began, I have been, perhaps, more interested than most. I wanted to know why Syria is automatically assumed to be guilty when there are some very nasty groups on the other side? We are fed so much doctored information, spin, that it is hard to get the facts even when we are directly involved. So to claim that I know what is actually going on in Syria is fanciful. Assad vehemently denies responsibility; the Russians are doubtful; and the inspectors have not yet reported. But the certainty, and aggressive language, of the Western leaders accusing Syria of this latest incident seem extraordinary - do they know something that they are not revealing publicly? 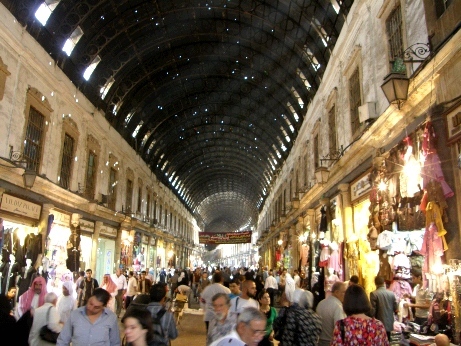 As I have explained elsewhere I have fond memories of Damascus and of Syria in general. Damascus was the most pleasant and interesting of the cities we stayed in; lacking the extremes of poverty and wealth we saw in Cairo (and in Egypt in general) or the more western normality of Amman in Jordan. 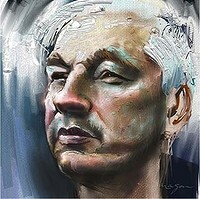 Julian Assange is in the news again. I have commented on his theories and his worries before. I know no more than you do about his worries; except to say that in his shoes I would be worried too. But I take issue with his unqualified crusade to reveal the World’s secrets. I disagree that secrets are always a bad thing.